It's a new video tutorial! This one is such a fun project and great for beginners. It's always a winner when you can actually wear and use what you made! 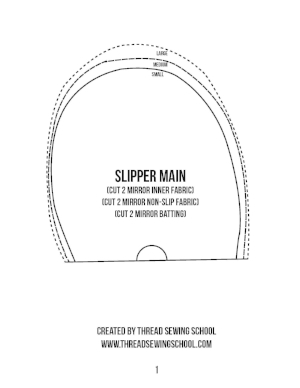 First you will need to print out the FREE pattern below, assemble it by matching up the two half circles on the Slipper Main pieces, and cutting out which size you want! 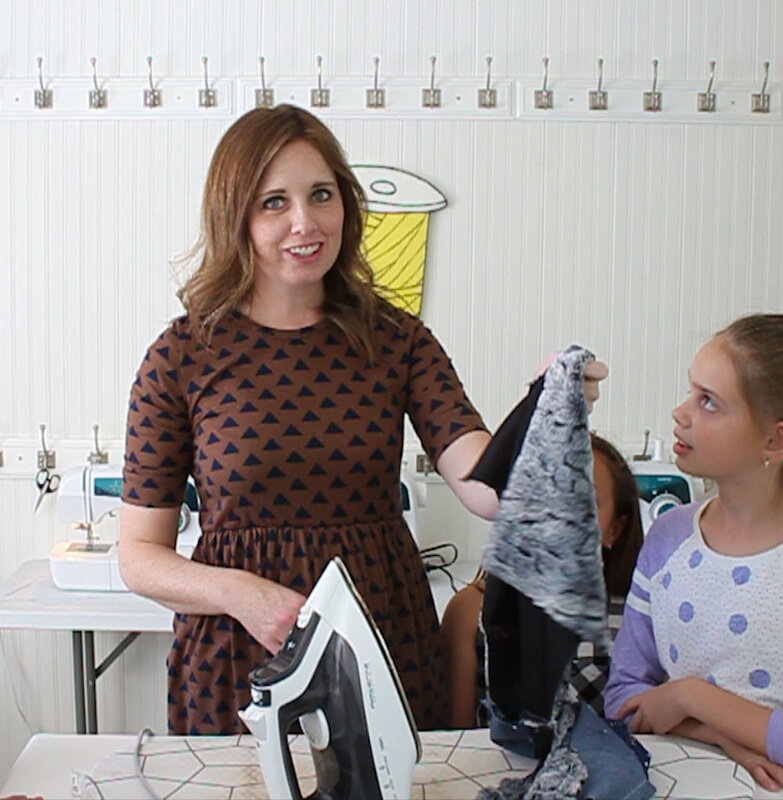 Print the FREE pattern right here! Stand on a piece of paper, draw a line at your toes and a line at your heels, then measure the length of your foot. The size Small slipper has a finished length of about 9 inches. The size Medium slipper has a finished length of about 10 inches. The size Large slipper has a finished length of about 11 inches. Choose the size that is long enough to fit your foot! If you need to make the slipper shorter or longer, before you join your Slipper Main pieces at the half circles, add or subtract length in the center portion of the pattern. The Slipper Top piece should remain the same. Share your new slips on Instagram and tag @threadsewingschool so we can see!